Thailand is among four countries and two territories which have won preliminary approval to have Internet addresses written entirely in their native scripts as early as July. Since their creation in the 1980s, Internet domain names such as those that end in .com have been limited to 37 characters: the 10 numerals, the hyphen and the 26 letters in the Latin alphabet used in English. Technical tricks have been used to allow portions of the Internet address to use other scripts, but until now, the suffix had to use those 37 characters. In January, the Internet Corporation for Assigned Names and Numbers (Icann) paved the way for an entire domain name to appear in Cyrillic for Russia and Arabic for Egypt, Saudi Arabia and the United Arab Emirates. Added to the list this week are suffixes in Chinese for Hong Kong; Sinhalese and Tamil for Sri Lanka; Thai for Thailand and Arabic for Qatar, Tunisia and the Palestinian territories. UK TV censor blasts TV show for broadcasting fraud victim interview that it had promised not to. On 19 October 2009, Bravo broadcast an edition of its investigative entertainment programme Big Trouble in Thailand. The series followed police volunteers who worked in the tourist resorts of Thailand supporting the Thai police service. The programme included a story about Mr G, who visited a police station in Thailand to report that he had been the victim of fraud. There was a programme making team at the police station and, while he was there, Mr G gave an interview in which he described his ordeal. He said that he had been visiting Thailand for eight years and had befriended a local woman working as a hotel manageress. The woman asked Mr G to contribute money to a property venture, which included the building of 10 retirement homes. Mr G paid a total of £50,000 into a bank account created by the woman, who subsequently absconded with the money. Mr G's interview was included in the programme and he was clearly identifiable. Mr G complained that his privacy was unwarrantably infringed in the programme as broadcast in that the interview, in which he disclosed information about the crime he was reporting, was still shown despite stipulating that his contribution was not for broadcast. Mr G said that he had signed a consent form, before giving his interview which stated on condition of non broadcast or distribution . Virgin Media Television ( Virgin ), responsible for compliance at Bravo, responded to Mr G's complaint. Virgin said that an instruction by Mr G that his contribution was not to be included in the broadcast of the programme was overlooked and was included in error. Virgin said that the edit of the show was completed in London and the interview was filmed in Thailand. It said that the cameraman/interviewer was not in attendance at the edit. Ofcom found that Mr G's privacy was unwarrantably infringed in the broadcast of the programme. Accordingly, Ofcom has upheld Mr G's complaint of unwarranted infringement of privacy in the programme as broadcast. The Fiscal Policy Office has completed drafting a new Land and Building Tax Law which requires owners of non-commercial land and buildings to pay tax of no more than 0.1% of its tax-based value . Agricultural property would face a tax up to 0.05% and others up to 0.5%. According to a report in the Bangkok Post, the draft proposes many exemptions – for example, for residential buildings on 50 square wah or less and worth less than one million baht in key areas including Bangkok, Phuket and Pattaya. Residential buildings worth less than 500,000 baht in municipal areas, and those worth less than 300,000 baht in tambon administration areas, would also be exempt. Thailand's economic prospects could be put in jeopardy because of a continuing dispute at a huge industrial complex. Recent figures on GDP and exports have been encouraging for the Thai government. But economists and investors are warning that two major factors have the potential to derail Thailand's nascent recovery. One is political instability. The other is the legal morass at Map Ta Phut. 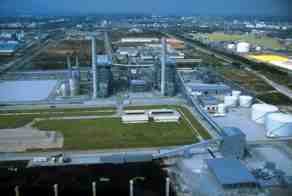 Map Ta Phut is one of the biggest petro-chemical hubs in the world. It is the size of a small town built of gleaming steel pipes, storage tanks and chimney stacks, jutting out into the sea; an industrial peninsula clearly visible from the white sand beaches and fishing villages on either side. Map Ta Phut has been driving Thailand's industrial growth for decades. But last September the Constitutional Court put the brakes on. Local environmentalists successfully argued that several new projects were in breach of pollution laws. The government's Security-related Situation Monitoring Committee agreed at its meeting yesterday that March 12, when the red shirts plan to gather at six locations around Bangkok, would be the most worrying day of their new major activities, a source said. At the meeting at Army headquarters, the possibility of declaring March 12 an extra public holiday was also raised, according to the source. During the Songkran festival last April, the government declared some extra public holidays after a road blockade at the Victory Monument and violent protests at other locations in Bangkok turned into riots. Maj General Ditthaporn Supawong, spokesman for the Internal Security Operations Command and for the panel, told a press conference after the meeting the participants expressed concern for the safety and convenience of Bangkok residents. The Cabinet have now approved the enforcement of the internal security law on March 11-to-23 in the face of the red-shirt rally. Bangkok and Nonthaburi will be placed under the ISA. The other six provinces are under partial enforcement covering gateways to the capital. The six are Samut Prakan, Chachoensao, Ayutthaya, Pathum Thani, Nakhon Pathom and Samut Sakhon. This means that the army are in charge as per Martial Law. Thailand's cabinet have acted to extend a stimulus package for the tourism industry which would otherwise end on March 31 for another year as proposed by the Ministry of Tourism and Sports with the aim to persuade more tourists to visit the kingdom, according to deputy government spokesman Watchara Kannika. Watchara told reporters that cabinet meeting that measures approved to be extended included exempting foreign tourist visa fees, reducing aircraft landing and parking fees, cutting the electricity consumption guarantee fund for hotel operators and providing insurance coverage for visitors. The $10,000 free riot insurance coverage was introduced last year and initiated by the Tourism Council of Thailand (TCT) in response to international insurance firms' refusal to sell insurance coverage to visitors to Thailand following the 2008 closure of Thailand airports by members of the Peoples Alliance for Democracy (PAD). The cabinet also acknowledged the information provided by the ministry that in 2009 some 14.09 million foreign tourists had visited the kingdom, generating Bt527.3 billion. However, when compared to the figures to 2008, the number of tourists was down by 8.21% which affected income around 3.38%. Thailand's Supreme Court has ruled that former PM Thaksin Shinawatra's family should be stripped of more than half a contested $2.3bn fortune. The court said $1.4bn (£910m) of the assets were gained illegally through conflict of interest when Thaksin was prime minister. 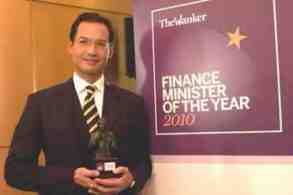 The funds were frozen after Thaksin's elected government was overthrown in a military coup in 2006. Thaksin, who is living abroad, has denied any wrongdoing. The Supreme Court said to seize all the money would be unfair since some of it was made before Thaksin became prime minister . The court took several hours to deliver its verdict, with security forces on high alert amid government predictions of violence by Thaksin's red-shirted supporters if the court decision went against him. 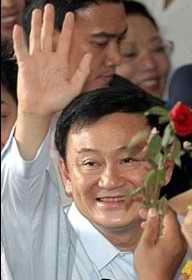 The judges said that Thaksin shaped government mobile phone and satellite communications policy to benefit his firms. He abused his power to benefit telecoms company Shin Corp, which he owned then, earning wealth from shares sales in the company through inappropriate means , they ruled. There were only small numbers of Thaksin supporters outside the court. The pro-Thaksin United Front for Democracy against Dictatorship (UDD), which leads the red shirts, has said it has no plans for any demonstration until mid-March. 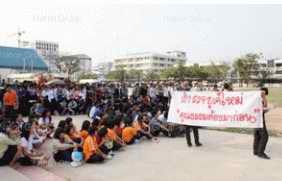 Some 3000 people have protested in Kalasin demanding that provincial governor sort out the local traffic police. They claimed that the police overcharge and make up charges. Meanwhile the Nation reports that drivers of some 300 ten-wheeled trucks on Monday blocked two inbound lanes of the six-lane BangnaTrat road, demanding police stop collecting tea money from them. There is no order signed to mobilise and arm thousands of forest rangers nationwide to Bangkok to prevent red shirts from rallying in Bangkok, Suwit Khunkitthi, minister of natural resources and environment said Wednesday. The minister was responding to a claim by a red shirted leader; Jatuporn Prompan that he has evidence to prove that Suwit signed an order to mobilise 6,000 forest rangers with firearms to the capital to block the red shirts coming to rally here. However, Suwit Wednesday dismissed the accusation as totally unfounded: I hate violence and neither want to see any confrontation nor violence . The government and the military have intensified their security in many areas particularly the capital in the run-up to the Supreme Court's February 26 ruling whether to seize the assets worth Bt76 billion of convicted former prime minister Thaksin Shinawatra. In the meantime the red-shirt movement is planning to stage a rally outside Bangkok Bank's headquarter on Silom Road on Friday afternoon to to expose the bank's alleged close ties with Privy Council chief Gen Prem Tinsulanonda. The political situation in Thailand is tense and uncertain. British citizens should exercise great caution throughout Thailand and avoid demonstrations or large gatherings of people that might turn violent. It is likely that there will be mass protests by anti-government demonstrators in and around Bangkok. A court decision due on 26 February 2010 is a potential flashpoint. If, as is quite possible, anti-government protests turn violent, British citizens should stay indoors and monitor the media and this website. The red shirts are starting to set up shop in Pattaya. There gathering at the top end of Soi Khaolao on the waste land that used to house the market. A couple of wagon loads of RED plastic chairs were delivered yesterday and a sign erected stating that the fun and games will start on the 25th. In an exclusive interview with the Pattaya Times newspaper a US Marshal based at the US Embassy in Bangkok, reported, When we issue a criminal warrant for crime committed in the US and we know the suspect fled the jurisdiction, first we look in Las Vegas, USA. Then we look in Bangkok, Phuket and Pattaya Thailand. These are the easiest places to catch them given the manpower. We need to coordinate resources with the Thais and share information to apprehend more fugitives escaping to Thailand. The updated Thai Immigration database and Thai investigators' information sharing among Thai special units are essential to our joint success. Thailand Immigration Bureau Commissioner Lt. General Wuthi Liptapanlop said Thailand is known worldwide as a safe haven for criminals because of its easy visa-on-arrival program. He said once here, criminals on the run can blend in with the large number of foreigners here. Thailand is doing something to stop this and catch the foreign criminal by asking for more intelligence from countries issuing the warrants, merging databases, more internal cooperation, better allocation of resources and more personal information sharing with foreign government agencies. Internet, phone usage, CCTVs and GPS tracking all make it easier with new technology. We will not stand for letting foreign gangs operate in Thailand or criminals to live freely here. This is a tourist destination attracting millions of visitors worldwide. Thailand is safe. The National Criminal Center will use the databases we have on foreign arrivals and departures at immigration checkpoints along with hotel reports of guests and 90-day reporting of foreigners here on long stay visas to catch the small percentage of foreigners who commit crimes. A branch office will open in a few days at the Chonburi Immigration headquarters on Jomtien Soi 5 led by Police Colonel Athiwit Kamolrat. We have been informed by Immigration Department, Bangkok that to be in line with the regulation imposed by the Ministry of Interior, Kingdom of Thailand, with immediate effect, all passengers arriving in Thailand must have sufficient funds as follows to show at the immigration before entry is permitted. Transit Visa holder: Must hold minimum THB 10,000 per passenger or THB 20,000 per family. Tourist Visa holder: Must hold minimum THB 20,000 per passenger or THB 40,000 per family. Visa on Arrival: Must hold minimum THB 10,000 per passenger or THB 20,000 per family. Non Immigrant Visa holder: Must hold minimum THB 20,000 per passenger or THB 40,000 per family. The above funds may be held in any permitted currency. Kindly adhere to the above as insufficient funds on arrival could result in refusal to enter Thailand. 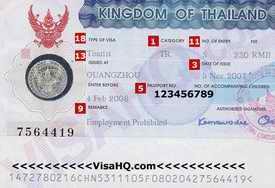 Admin note: The Immigration Buerau HQ in Bangkok has confirmed to Thaivisa this morning that this regulation is now in effect. The news is that Tourist visa holders and Non-Immigrant visa holders now are required to show proof of funds as above, at the Immigration officers discretion . A global ranking, revealing the countries most at risk from terrorist attacks, has rated Iraq as the most dangerous country for the second year running, whilst Thailand has slipped into the extreme risk category for the first time. The Terrorism Risk Index (TRI) has been developed by Maplecroft for companies to assess terrorism risks to their international assets. The index measures not only the risks of an attack, but also the chances of mass casualties occurring. To provide a comprehensive picture of worldwide terrorism risk Maplecroft analyses terrorist incidents every six months for their frequency, intensity and number of victims, plus the proportion of attacks that were mass-casualty in each nation. A country's historical experience of terrorism was also factored in along with threats made against it by groups such as al-Qaeda. Ranked 11th in last year's Terrorism Risk Index, Thailand has now dropped two places in the ranking and into the extreme risk category. Terrorism incidents in Thailand's restive Muslim south - such as the October 2009 bomb attacks in Sungai Kolok - largely account for the country's rating. We are now at war with the military and I appointed myself a leader of the Democratic Alliance Against Dictatorship to fight for democracy and the red-shirt people accepted this, Khattiya said. The pro-Thaksin United Front for Democracy against Dictatorship has scuppered a proposed plan to picket on the main roads to Suvarnabhumi airport. Key UDD leader Suporn Atthawong said the UDD abandoned the idea because it did not want to create the same trouble caused by its rivals, the People's Alliance for Democracy, which blockaded Suvarnabhumi in late 2008. Earlier, Airports of Thailand Plc threatened to take drastic measures, including bringing charges of terrorism against the red shirts if they were to lay siege to the main airport. The red-shirt protesters will face legal action if they rally and block entrance and exit of the Suvarnabhumi Airport as the moves would disrupt the traffic flow and cause public inconvenience, Deputy Prime Minister Suthep Thaugsuban said. If the protesters line up along the side of the road, then that might not be a problem, Suthep said. The government will not invoke the Internal Security Act for now as it has already drawn up a plan to handle the situation. If they break the law and show tendency to be violent, then we will step up security measures, he said. He admitted that the red shirts' threat to rally at the Suvarnabhumi Airport has caused public alarm and the stock market tumbling. Suthep did not believe that if the red shirts' plan to take hold of key state agencies succeeds, they could bring down the government. If they want to incite unrest, people across the country will not agree with that and will not give cooperation because they do not want to see the country plunge into turmoil, he said. Arisman Pongruangrong, one of the key leaders of the red shirts said they would discuss their plan to rally at the Suvarnabhumi Airport on Thursday. It is likely they would execute the plan but not to seize the airport, cause any turmoil or disrupt traffic. We will just hold a press conference and hold placards with a message that Thailand does not have justice because they cannot take legal action against those who seized the airport, he said. The number of the protesters will be small and the rally will last only one hour, he said.